JIUQUAN, Dec. 22 China launched a tech-experimental satellite as part of the Hongyun Project, a low-orbit broadband communication satellite system on Saturday morning. 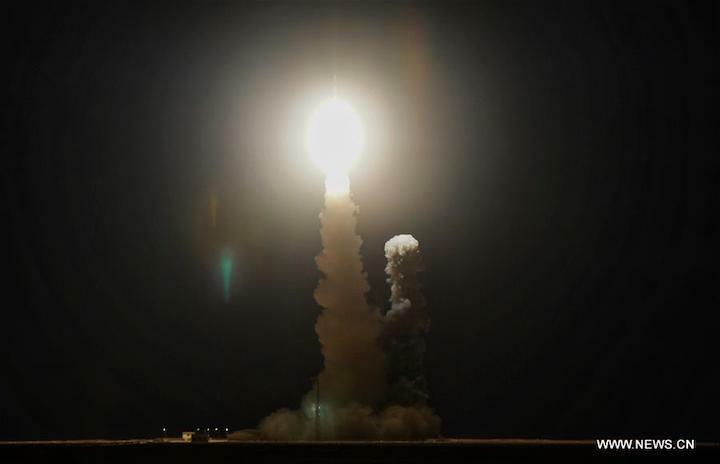 A Long March-11 rocket carrying the experimental satellite blasted off from the Jiuquan Satellite Launch Center in northwest China at 7：51 a.m.. It successfully entered its preset orbit. China conducted another orbital launch using a Long March-11 solid fuel rocket on Friday. The launch took place from a mobile launch platform from the Jiuquan Satellite Launch Center at 23:51 UTC. Onboard the LM-11 rocket was the first Hongyun satellite. Developed by the China Aerospace Science and Industry Corporation (CASIC), this is the fist satellite of a vast space-based communications network capable of covering every corner on the Earth, including the Arctic and Antarctica. The satellite mission is to verify low-orbit broadband communication technologies to be used on the Hongyun satellite constellation. Announced by CASIC in September 2016, the Hongyun project has the goal of building a space-based communications network of 156 communications satellites into low Earth orbit, at an altitude of 160 to 2,000 km. Each satellite of the network will be able to transmit 500 megabytes of data per second. It will become operational in 2022. After the tests with the first Hongyun satellite, another four satellites will be launched by the end of 2020 to form a small network for the project’s trial run. Operational satellites will be launched after the first tests of the baseline network prove successful. When the Hongyun project is complete, it will cover the whole world and offer round-the-clock communication services to users in polar regions, who now have difficulties accessing telecommunication and internet services, even from on board an aircraft or a ship or in a remote area. The Hongyun system will feature lower production and operational costs and fewer occurrences of data transmission delays compared with existing communication satellite networks. The Hongyun project will achieve global coverage with communications, navigation, remote sensing and other functions, supplying application demands, including sensor data acquisition, industrial Internet of Things, and remote control of unmanned vehicles. The satellites are developed and constructed at the CASIC Second Academy’s Wuhan National Space Industry Base, in Hubei province. LM-11 is a four stage solid-fueled launch vehicle equipped with a reaction control system on the fourth stage. The vehicle has a length of 20.8 meters, 2.0 meters in diameter and a liftoff mass of 58,000 kg. At launch it develops 120.000 kg/f, launching a 350 kg cargo into a 700 km SSO. The CZ-11 can use two types of fairing with 1.6 meters or 2.0 meters. Area 43 is the overall designation for the South Launch Area that is equipped with two launch pads: 91 and 94 (sometimes also designated 603). Launch Pad 91 is used for the manned program for the launch of the Chang Zheng-2F launch vehicle (Shenzhou and Tiangong). The 94 launch pad is used for unmanned orbital launches by the Chang Zheng-2C, Chang Zheng-2D and Chang Zheng-4C launch vehicles. 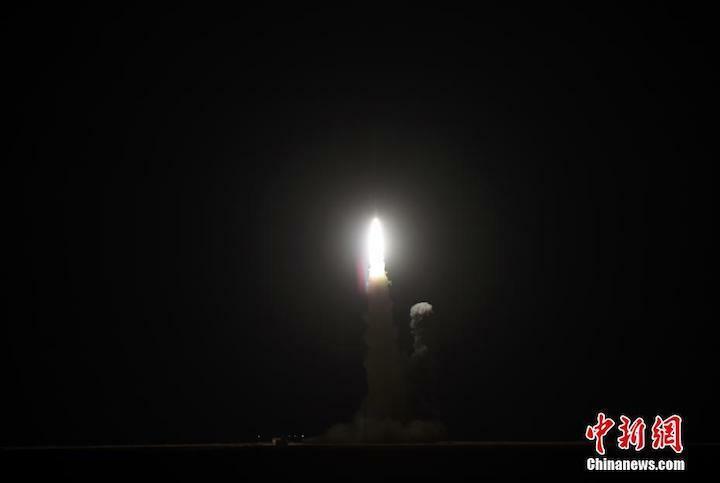 A Long March 11 rocket successfully sent the Hongyun-1 satellite into orbit late on Friday, marking first step in a 156-satellite low Earth orbit communications constellation planned by a major Chinese state-owned defence contractor. Launch took place at 23:51 UTC December 21 (07:51 Beijing time December 22) at the Jiuquan Satellite Launch Centre in the Gobi Desert, sending Hongyun-1 into a Sun-synchronous orbit with an altitude of around 500 kilometres. Hongyun-1 is the first satellite for the low Earth orbit global communications constellation of the same name, meaning 'rainbow cloud', first announced by the China Aerospace Science and Industry Corpopration (CASIC), the country's largest missile maker, in 2016. "Using a common expression, we are moving the Internet currently on the ground into the sky. 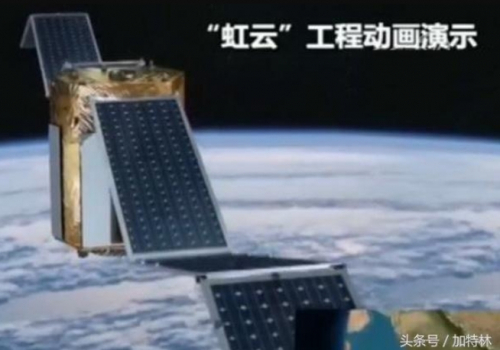 The first satellite of the Hongyun Project is China's first true low-orbit broadband communication satellite, which will greatly promote the development of space sectors, particularly commercial space," Hou Xiufeng, a CASIC spokesman, told CCTV. 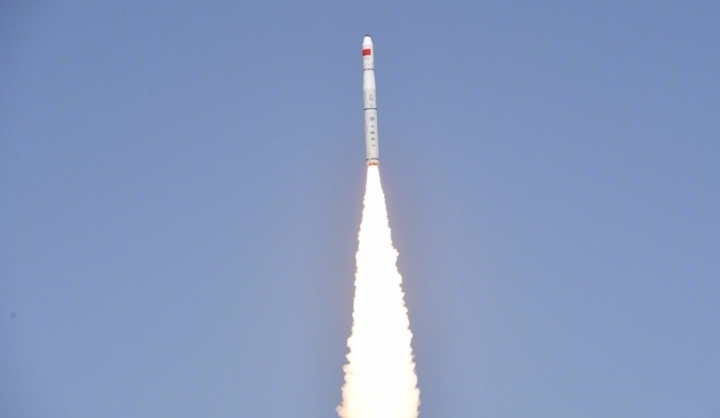 Long March-11 launches Hongyun-1 on December 21, 2018. CASIC aims to have the 156-satellite system, with most at an altitude of 1,000 kilometres, operational by around 2022. Hongyun-1, will be used to verify low Earth orbit (LEO) broadband communication technologies, and also carries AIS (automatic identification system), ADS-B (automatic dependent surveillance) and DCS (data collection system) payloads. Curiously, the launch vehicle was provided by the China Aerospace Science and Technology Corporation (CASC), a sister state-owned enterprise and the country's largest space contractor. CASC confirmed launch success around 40 minutes later. CASC also announced that is now aiming to carry out the first sea launch of a Long March 11 in June 2019. The company also stated it has carried out various improvements to the rocket, including guidance design and flight control software. News of the launch was first announced via Chinese media on Wednesday(link in Chinese), stating a launch on December 21 Beijing time, with the later airspace closures confirming the mission for one day later. The launch was China's 37th of 2018, having already smashed its national record of 22 launches, set in 2016, back in August. It is the first since the launch of the Chang'e-4 lunar far side mission on December 7. CASC stated at the start of the year that it was targeting around 35 launches, meaning commercial launches could take the national number close to 40. Next launch will be TJS-3, nominally a geostationary communications test satellite, taking place on December 25 at around 17:00 UTC (01:00 Beijing time December 26) from Xichang on an enhanced Long March 3B. The first satellite for CASC's own Hongyan ('wild goose') LEO communications constellation is expected to launch on a Long March 2D launch vehicle from Jiuquan on December 29 to test L- and Ka-band capabilities and compatibility. China currently leads the world for launch rate in 2018, with the United States, which is set to launch a number of missions in the coming days, on 33 (including three Electron launches from New Zealand). Russia with 18, Europe (8), India (7) and Japan (6) all follow. China suffered one of the two failures experienced out of the 108 global launches so far with the first attempt by a Chinese private launch company to reach orbit. An issue with the third stage of Landspace's ZQ-1 rocket meant the payload failed to reach orbit. The other involved two astronauts on a Russian Soyuz spacecraft, but the crew safely reached the ground after aborting the launch.